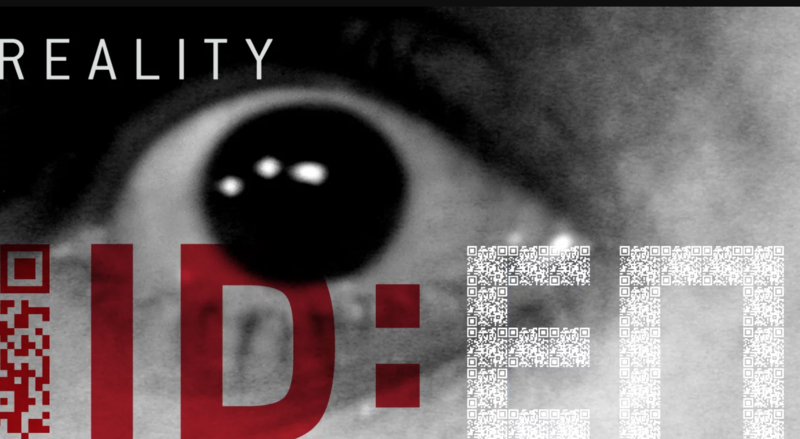 ID:ENTITY is a group exhibition which explores the complex relationship between the “self” and the world. Digital technologies are radically altering the traditional ways in which we relate to each other, our social spaces, and even ourselves. New generations bring about changing paradigms for communication, learning and interaction. The boundaries of our modern lives are collapsing. The protection of our identities, the transparency of our digital reputations, and the manifestation of radical and shifting digital evolutions provoke these artists to engage in a highly technical, visual dialogue that includes: interactive surfaces, Microsoft Kinect™ technology, and dynamic digital wall projections. Artists featured in ID:ENTITY use a wide range of cutting-edge software technologies to create interactive imagery and inspiring environments that engage viewers with sensory experiences. 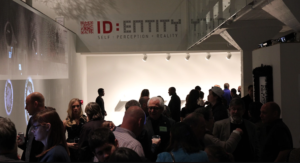 The exhibition ID:ENTITY SELF : PERCEPTION + REALITY is generously supported by North Carolina State University’s College of Design and the Department of Art + Design. Additional supported is provided by the Communication, Rhetoric, and Digital Media Ph.D. program in the College of Humanities and Social Sciences. This project is funded in part by the City of Raleigh based on recommendation from the Raleigh Arts Commission. Third Friday, January 20, 2012 | 7:30 pm lecture. First Friday, February 3, 2012 | 7:30 pm lecture. Free with admission. Limited seating is available. Registration and workshop details available in January, 2012. NC State College of Design Advanced Media Lab presents a compilation of Art + Design Department student animations spanning over 15 years. Kevin Brock is a Ph.D. student in North Carolina State University’s Communication, Rhetoric, and Digital Media Program. He studies humanities computing and the rhetoric of software development, and is particularly interested in how digital technologies are simultaneously made significant and ordinary in our lives. Lee Cherry brings 10 years of interactive software development and project management experience as a technical producer, interactive designer and information architect. He has developed and managed large-scale interactive projects that leverage technology, user interface design and information graphics for such companies as American Express, Accipiter, Böwe Bell & Howell, GlaxoSmithKline, Grant Hill Ventures, IBM, NBC Sports, Nortel and The United States Tennis Association. Lee Cherry holds two degrees from North Carolina State University; a BA in Industrial Design from the College of Design and a MBA in Product Innovation Management from the College of Management. He currently helps direct the research efforts at the Advanced Media Lab in support of the Graduate Program in Art+Design and the Information Technology Lab at North Carolina State University. He is currently completing studies related to non-profit management and development through the Master of Public Administration program at North Carolina State University. Patrick FitzGerald has a BA from Southern Methodist University and an MFA from the Cranbrook Academy of Art. His work has been exhibited across the United States and Japan. FitzGerald has received national and international awards for his digital illustrations. Recent projects and interactive installations include the 2011 opening of CAM Raleigh with Advanced Media Lab, the 2010 opening of the new North Carolina Museum of Art with Advanced Media Lab, 2009 Zoom Raleigh with Advanced Media Lab in downtown Raleigh, 2007 The Consumer Culture Garden (with EAT at North Carolina Museum of Art , MINT and New Britain Museum of Art), and the 2005 GoMAP2.0 (interactive prototype for PDA). 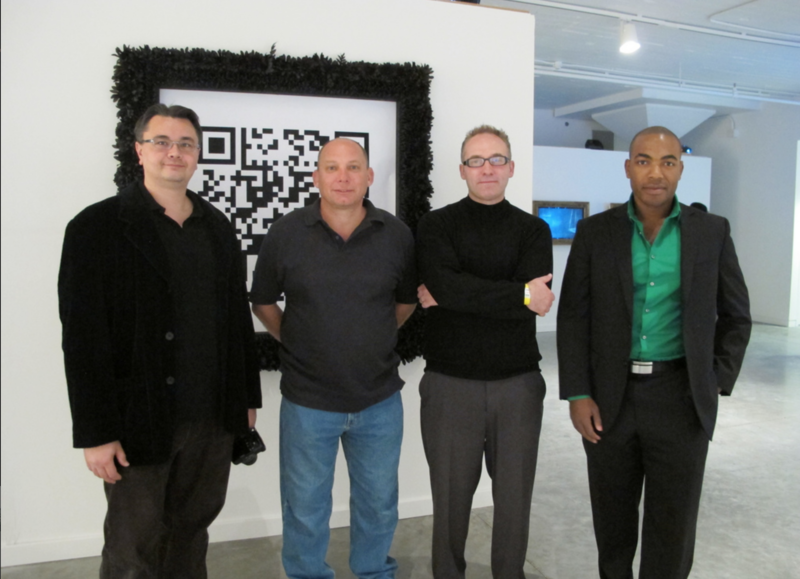 McArthur Freeman, II is an artist and designer whose work includes drawings, paintings, 3D modeling, and animation. McArthur earned his BFA from the University of Florida. He holds a Master of Fine Arts degree from Cornell University, with a concentration in painting and a Master of Art+Design from North Carolina State University in Animation, New Media and Digital Imaging. His work has been published in NKa Journal of Contemporary African Art and has been exhibited in several group and solo exhibitions within the United States. His paintings and 3D scenes explore constructed realities that weave together both fact and fantasy. David Gruber moved to Raleigh from Los Angeles in 2008. He is currently a doctoral candidate in the Ph.D. Program in Communication, Rhetoric, and Digital Media at North Carolina State University. He is also a painter and digital artist. In both his scholarly and artistic pursuits, he studies human (co)development with technology as well as the rising influence of the brain sciences on a wide range of cultural conversations. His work can be found in the following academic journals: Media History, Visual Communication Quarterly, POROI. Links to other related projects can be found on his website, www.davegruber.com. David Millsaps is a digital media consultant and interface designer working in Raleigh, North Carolina. 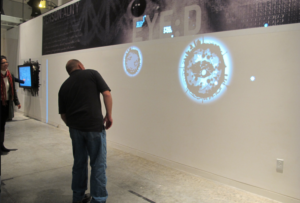 Millsaps draws on an interest in the intersection of cartography, information graphics and interface experimentation. 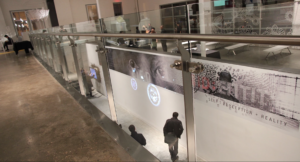 Previous works with the Advanced Media Lab include the experimental mobile interface GoMap, and the North Carolina Museum of Art, New Britain Museum of Art and Mint Museum exhibited a digital koi pond, the Consumer Culture Garden. Cecilia Mouat has a degree in Architecture and a MA in Documentary Films from the University of Chile; currently she is Ph.D. candidate in the program of Design at North Carolina State University. Cecilia Mouat’s experience in Chile includes 20 years of professional practice on housing and corporate buildings’ design, heading positions in private sector of banking, real estate development, and advisory service industries; five years as instructor in three Chilean universities in the fields of architecture and documentary film, and the realization of several experimental films on topics related with the city, the artistic creation and the construction of identity as a self-portrait project, which is in permanent process of reinvention. In 2008, Mouat obtained in Chile a grant for a one year research project about the body experience of architecture and its representation through the video, as a way to demonstrate that audiovisual is the most vivid form of architectural representation, emphasizing the body motion and the experience of time related with space. David M Rieder is Associate Professor of English at North Carolina State University and program faculty in the Communication, Rhetoric, and Digital Media PhD program. He has a PhD in Rhetoric, Writing, and Critical Theory from UT Arlington, where he studied with Victor J. Vitanza. His scholarly interests are at the intersections of rhetoric, writing, and computational media. Recent publications include Typographia: A Hybrid Exploration of Raleigh, NC, which was awarded the 2011 “Best Webtext” by the electronic journal Kairos, and a co-edited collection with University of Minnesota Press titled Small Tech: the Culture of Digital Tools. Marc Russo is an Assistant Professor of Art+Design at the North Carolina State University College of Design. Professor Russo has a BS and a M.Ed. from Rutgers University and a Master of Art+Design with a concentration in Animation and New Media from NC State. For over a decade, he has worked as a production artist and a freelance designer throughout North Carolina. The projects range from print collateral and art direction to interactive training websites and animation. As an independent artist and animator, his animations have been selected by international film festivals and have won several awards, including “Excellence in Animation” from the Carrboro Film Festival and the “Experimental Film Award” from the Indie Grits Film Festival. Most recently, Professor Russo has been the Lead Digital Artist for the IntelliMedia Group. A part of the Department of Computer Science at North Carolina State, the IntelliMedia Group creates educational video games for elementary and middle school students with funding from the National Science Foundation and The Gates Foundation. Carol Fountain Nix is the Associate Professor of the Practice and Brand Director for the North Carolina State University College of Design, where she developed and oversees the College’s on-campus design studio: CODE | Studio. Prior to joining the College of Design faculty, Carol founded and ran her own design firm, NIXdesign, an interactive media studio located in downtown Raleigh, North Carolina. NIXdesign has been recognized nationally for its exceptional cross-media brand development and has served a wide range of clients from Burt’s Bees, The Body Shop to Quintiles and Merck Pharmaceutical. Carol’s work spans from graphic/interactive media to videography, abstract painting and image-making. She also has a signature product line that she developed for the wine/gourmet market. Carol holds a B.A. in English Journalism from Elon University and a Master’s degree in graphic design from the North Carolina State University College of Design. The Advanced Media Lab at the North Carolina State University College of Design leverages an array of technologies to create images, animation, and interactive projects. To address the needs of contemporary artists and designers, they offer students a foundation for working with a range of digital tools, an awareness of formal relationships, and strategies for generating and refining design solutions. Students in the program are individuals who synthesize both traditional and digital skills. While there are many ways to apply the knowledge gained in the program, it is geared toward those who are interested in sequential art, digital illustration, digital modeling, compositing, character animation, motion graphics, and multimedia interactive projects. For more information about the Advanced Media Lab please visit http://design.ncsu.edu. CAM Raleigh hours are Monday, Wednesday, Thursday, Friday 11 a.m. – 6:30 p.m., Saturday and Sunday 12 p.m. to 5 p.m., and first and third Fridays of the month open late. CAM Raleigh is closed on Tuesday. General admission to the museum is $5. CAM Raleigh members, children 10 and under, members of NARM and Mod/Co, and NC State students, staff, and faculty are admitted free. CAM Raleigh is a non-collecting museum that explores what’s now and presents an always-changing museum experience. CAM Raleigh is a partnership between the community of Raleigh and North Carolina State University’s College of Design. CAM Raleigh is generously supported by the Contemporary Art Foundation, North Carolina State University, individual and corporate members, private and corporate foundations, and government agencies. CAM Raleigh is located at 409 West Martin Street, Raleigh, NC 27603, between Harrington and West streets and in the heart of Raleigh’s Depot National Register Historic District and Warehouse District. CAM Raleigh has a parking lot; additional parking is available at metered spots on the street or at the Davie Street Parking Lot located at 201 W. Davie Street. Museum hours are Monday, Wednesday, Thursday, Friday 11 a.m. – 6:30 p.m., Saturday and Sunday 12 p.m. to 5 p.m., and first and third Fridays of the month open late. The museum is closed on Tuesday. General admission to the museum is $5. CAM Raleigh members, children 10 and under, members of NARM and Mod/Co, and NC State students, staff, and faculty are admitted free. Information about CAM Raleigh’s exhibitions, programs, and special events is available on the CAM Raleigh website at http://camraleigh.org or by phone at 919.513.0946. Follow @camraleigh on twitter.